The newest casino resort located in Parañaque's Entertainment City, Okada Manila (Manila Bay Resorts) is envisioned to compete with casinos in Macau as a premier international destination by Japanese mogul Kazuo Okada. The casino complex was set to open back in November 2016 but was delayed due to Manila's uncooperative weather conditions. Okada Manila commenced operations in December 30, 2016 while The Fountain was opened to the general public on April 1, 2017. Okada Manila's signature gold color is said to represent the hue of Manila Bay sunset while its striking plum theme personifies boldness and sophistication as evident with the lavish interiors and the resort's fleet of Bentleys and Mercedes Benzes in the same stunning color. 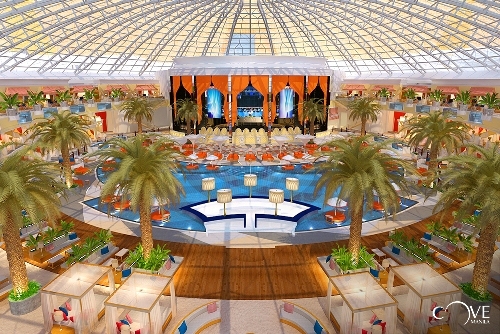 The entire complex occupies a vast 45 hectares with 993 hotel rooms, more than 3,000 electronic gaming machines and 500 table games, a shopping complex, the largest multi-color dancing fountain in the world, and an indoor night club and beach complex with a maximum capacity of 4,500 called The Cove. Check-in was fast and efficient. From the basement parking, we were approached multiple times by the hotel staff who offered to help us with our luggage. We really didn't mind carrying our bags since it was just a short walk but the staff at the ground level insisted and ushered us to the lobby. With all counters manned, no queuing in sight even during peak hours. I thought I've seen it all, the best staycation venue that Manila can offer, but the moment I stepped inside our deluxe room, I knew I haven't been to THE BEST YET. Not until today at least. The smallest and cheapest room in Okada Manila, our deluxe room commands an overnight stay rate of around Php15,000 per night with breakfast for 2. Probably the most expensive deluxe room in the entire country but wait until you see what the room looks like - extravagance at its finest. Okada's state-of-the-art deluxe room features a spacious floor area of 60 to 74 sqm, ultra stylish furniture, king- or twin-sized beds with Sealy mattress, LED TV with cable channels and in-house movies (paid and complimentary), drip-top coffee and tea, its own jacuzzi with separate rain shower and Japanese washlet, plush robes and slippers, and Roberto Cavalli toiletries. All Sealy mattresses are equipped with Posturepedic Technology that promises reinforced support where your body needs it the most. No wonder CS and I slept soundly and woke up well rested. I love how each side table has its own socket and usb plugs for your charging needs. Everything in the room is digital and can be managed using the iPad provided. The softest and lightest robes ever - one of the many things I wanted to take home with me. As with most modern hotels I've stayed in recently, minibars are now automated with sensors and built-in electronic scales so be careful with touching the items to avoid incidental charges. Happened to us in Aria Resort, Las Vegas where I accidentally removed a drink for a few seconds and was charged for it even if I returned it right away. The hotel did reversed the charges but it could have saved us a few minutes upon check out if not for the erroneous charges. Just the sheer size of the bathroom with your own jacuzzi is a visible portrayal of Okada's grandiose and extravagance. Make sure you request for a room facing The Fountain so you can watch the show from the comfort of your room and better yet, while indulged in a bubble bath. Japan is famous for its modern toilets and I'm amazed that Okada Manila has adapted the same advance toilet technology in each room. Even the toilet cover has its own sensor! Pros: Tight security measures, complimentary shuttle service in key points of Metro Manila, free basement parking for private cars, various dining options, extravagant interiors that is comparable to casino hotels in Macau, free flowing bottled water for all hotel and non-hotel guests, well-trained staff with great customer service capabilities, spacious and high tech rooms with your own private jacuzzi and designer bathroom toiletries, fast and complimentary WiFi, and delicious buffet breakfast at Medley restaurant with international cuisine offerings. Cons: As Okada Manila is still not fully operational, there are hotel amenities such as The Cove, fitness gym and spa that we were not able to enjoy during our stay. We were made aware of this upon booking so it wasn't really an issue for us as we knew what and what not to expect. 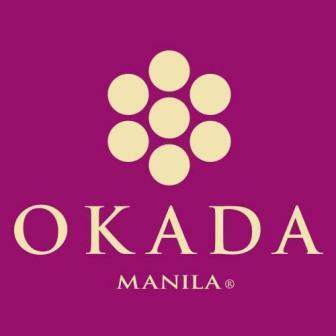 If not for its hefty price tag, I would book a room in Okada Manila every weekend! But for now, I'd be saving up for an overnight stay when all amenities are open because The Cove's massive 90,000ft² indoor night club and white sand beach with luxurious cabanas and bungalows, private jacuzzis, a swim-up bar and a butterfly-shaped swimming pool under one iconic glass dome sounds like the ultimate summer beach party experience minus the sunburn!